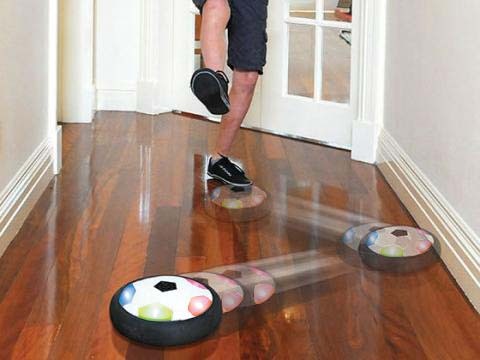 Let your little hooligans play football indoors safely! Air Powered Soccer means your little rascals can play football indoors without tearing down the house! Do you little ones love to play football? If so, you will probably find them playing football in the garden on sunny days. Debating who is going to be the new Messi. Unfortunately, their passion can cause mayhem when the weather's bad. You know they'll find the football you've carefully hidden in the garage. It's only a matter of time before the kids start playing football in the living room. You can say goodbye to your new flat screen and to Aunt Bernadette's antique china. We recommend you invest in Air Powered Soccer to help protect your possessions and to give you peace of mind. 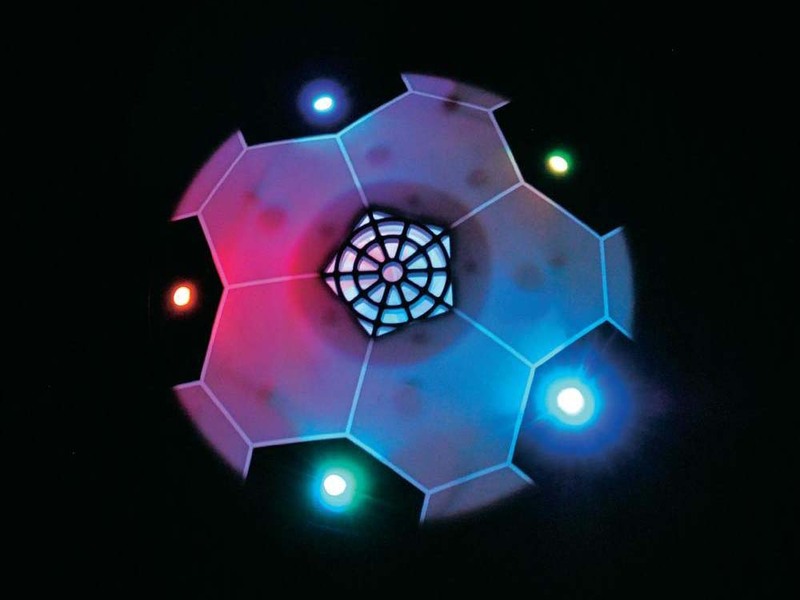 The Disc doesn't roll but hovers above the floor in one, neat movement. 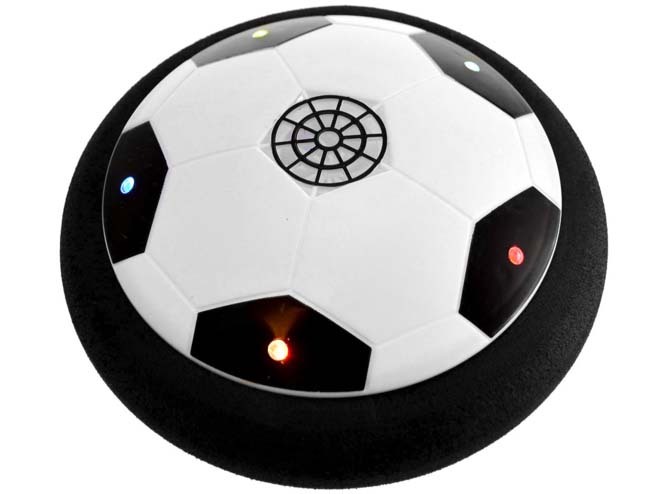 The Air Powered Soccer Disk needs just one small kick to send it gliding across the floor. You and your furniture can all sigh in relief because there will be no more high balls and the disc also won't damage furniture near the ground. The reason for this is that the disc is surrounded by a thick, rubber bumper to prevent accidents and damage. The Air Powered Soccer Disc will also provide hours of outdoor entertainment. Transform you drive into a hockey pitch! Rain? Not a problem. Just go back inside and continue playing. The perfect gift for football fans whatever the weather!